Alberta Oil Tool (AOT) is Canada’s leading manufacturer of specialty drive rods, sucker rods and accessories. Serving the Canadian oil patch since 1951, AOT was purchased by Dover Corporation in 1962. Over the past 50 years, we have significantly expanded our manufacturing capacity and capabilities to meet the needs of a growing oilfield market. Our 80,000-square foot manufacturing facility in Edmonton, Canada makes a full suite of Norris brand products, known throughout the industry for their precision and reliability. 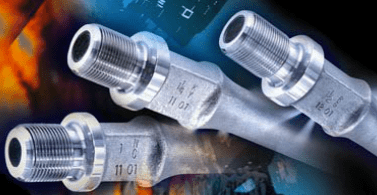 These include sucker rods, specialty Drive Rods® for progressing cavity pump applications, polished rods, sinker bars, pony rods and sucker rod/polished rod couplings. Resilient, high-quality metal-seated butterfly valves. Quality and safety are integrated into everything we do—from the administrative offices to the shop floor. Our quality management system is registered by the American Petroleum Institute to ISO 9001:2008, API Q1. And, we are members of the Manufacturers Health and Safety Association, an organization committed to reducing worker injuries. Alberta Oil Tool aims for continual improvement in the quality, reliability and safety of our manufacturing processes, which assures our customers the best and longest running artificial lift equipment at the lowest risk and cost.